Latvian wheelchair fencer, Polina Rožkova has turned to additive manufacturing giant Stratasys to 3D print a customised back brace that will help her overcome the discomfort and limited movement during fencing in her quest for gold at the Paralympics 2016 this week. 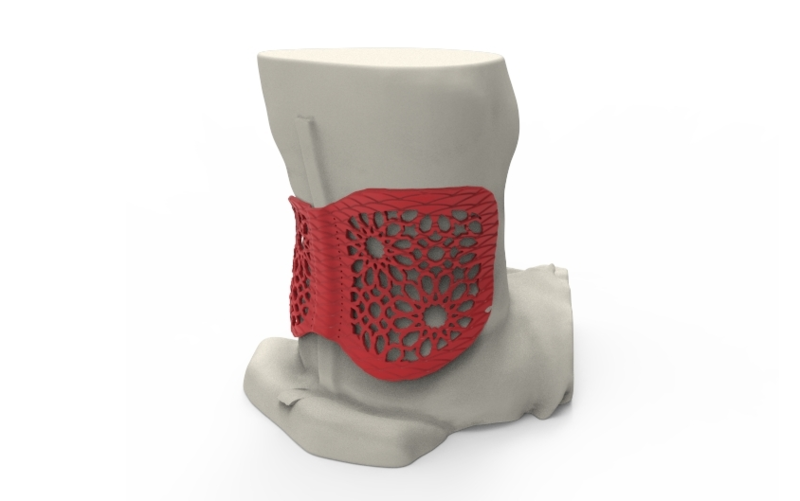 Using a 3D scan of Rožkova’s lower back, Baltic3D, a Stratasys Latvian reseller, designed and 3D printed a back brace customized specifically to her middle spine, overcoming the discomfort and limited movement found in conventional supports. Having tried various traditional back braces and orthopaedic specialists leading up to Rio 2016, the athlete – which ranks 8th in the Épée Women Category A world ranking – approached Stratasys’ Latvian reseller, Baltic3D, to explore whether 3D printing could offer a solution to her problem. “The conventional back brace Polina was using when she came to us was huge and did not fit her shape at all, causing her discomfort and bruises in everyday life. It was limiting her movement in fencing and hindering her performance, which is not great when you’re preparing for the Paralympics,” explained Janis Jatnieks of Baltic3D, leader of the 3D printed back brace project. 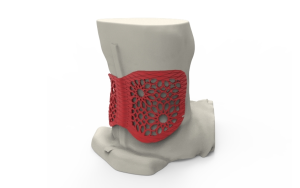 The back brace was 3D printed on a Stratasys Fortus 450mc production 3D Printer in one single build, and Rožkova is delighted with the outcome and confident of achieving a positive result in Rio. “Throughout my years as a professional wheelchair fencer, I have been looking for an alternative, and most importantly, sports-appropriate lower back brace to allow me to fence and move freely without any restraints or pain,” Rožkova said.